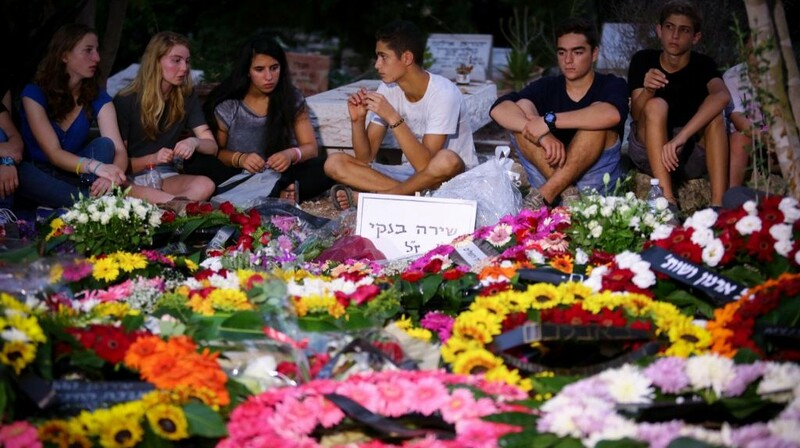 ISRAEL: Thousands Attend Funeral For Teen Murdered At Jerusalem Pride - Joe.My.God. Thousands attended the Monday night funeral of 16-year-old Shira Banki, who died on Sunday after being stabbed at last week’s Gay Pride Parade in Jerusalem. Banki, a high school student from Jerusalem, was buried at Kibbutz Nahshon cemetery, near Beit Shemesh. In an emotional eulogy, Banki’s parents, Milka and Uri, spoke of their daughter’s compassion, intelligence, and vitality. “We had four wonderful children, all of whom are intelligent, beautiful, kind, and especially, good friends to one another,” said Uri. “Now we are left with three children – with the pain, longing and shock that every parent would rather die than feel.” Invoking their daughter’s legacy of tolerance, her parents emphasized that they do not blame the ultra-Orthodox community for a crime carried out by one individual. “We want to say that we have no quarrel with the [ultra-Orthodox] people,” Uri said. “Our quarrel is with intolerance – with hatred – and achieving goals at the painful expense of others.” Banki’s parents said they will rebuild their shattered lives, while not capitulating to the unbridled hatred that took their daughter’s. It doesn’t appear that Israel’s top political leaders attended the funeral. On Sunday Prime Minister Benjamin Netanyahu denounced the attack on social media and at his weekly cabinet meeting. Last night President Reuven Rivlin honored Shira’s memory during a speech to students in Haifa.